In testing automated freight trains on the Dutch Betuweroute this autumn, sensors will be placed to recognise objects on the railway. 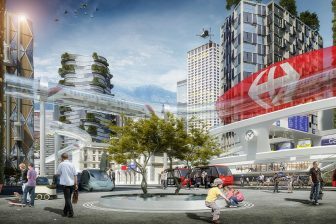 This technique will eventually enable complete autonomous train traffic. Director Alwin van Meeteren of Alstom Utrecht explained the innovative technique at InnoTrans in Berlin. 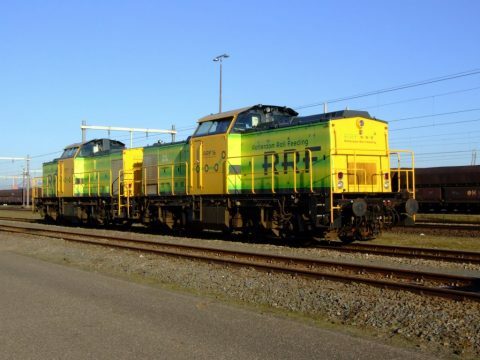 The experiment will be carried out in November with a BR203 freight train from Rotterdam Rail Feeding (RRF). 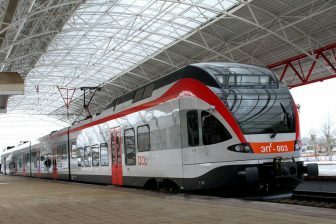 At the moment, cooperating parties ProRail, Alstom and RRF are still awaiting the final approval of the Human Environment and Transport Inspectorate (ILT) of the Netherlands. The tests on the dedicated freight line in the Netherlands concern Automatic Train Operation (ATO), whereby automation level 2 is tested. This is called GoA2, which stands for Grade of Automation level 2. The train operates completely autonomously in level 4. This will not take place in the Netherlands in the short term. Experiments with GoA2 are on the agenda, with the train taking over part of the train driver’s tasks. The train driver supervises the journey and can intervene if necessary. During the tests on the Betuweroute, various issues will be investigated, such as the transition from ERTMS Level 1 to Level 2, automatic zoning of trains and human behaviour. In addition, sensors are also placed on the train for object detection, enabling further research in the future. 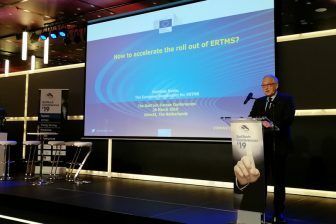 According to the director, ATO is a ‘game changer’, because in combination with ERTMS it can provide a substantial increase in capacity. 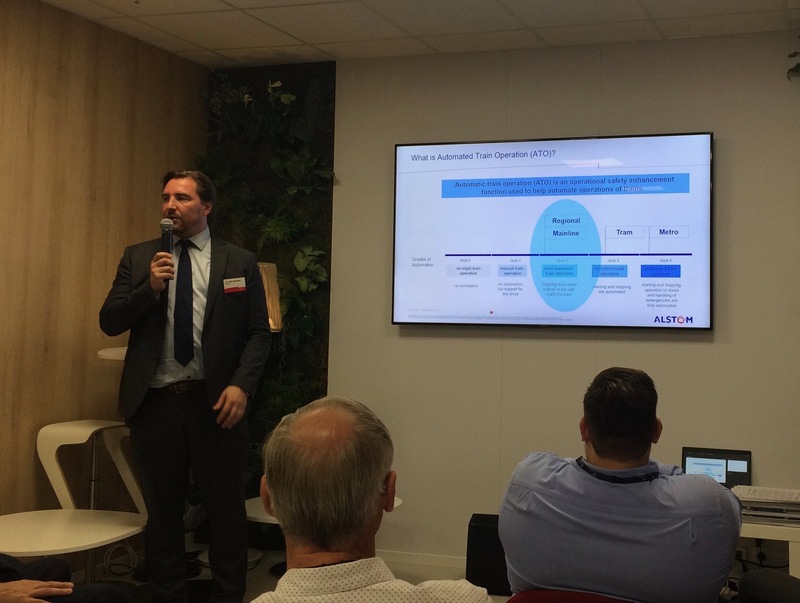 Alstom is working together with other suppliers in the European joint venture Shift2Rail on the specifications of ATO, in order to make the technology applicable throughout Europe soon. Director Alwin van Meeteren of Alstom Utrecht gave a presentation at InnoTrans. Experts expect ATO to benefit many places in the Netherlands, including the bottleneck at airport Schiphol. It looks at examples from abroad, such as the Thameslink in England. There, in March of this year, the first successful passenger journey was carried out with ATO GoA2. This connection runs through a railway tunnel under the city center of London. ATO is required from December 2019 during rush hour with 24 trains running up and down between the St Pancras and Blackfriars stations. This technique may also be beneficial on the A2 corridor. Freight trains that come from the Betuweroute must enter the mixed network at a certain moment in Amsterdam. ATO can help ensure that the speed of the freight train is precisely matched to that of the passenger trains so that they can zip. “GoA2 is not a dream, but a reality,” says Van Meeteren. He points out that Alstom already introduced the ATO technique to the Singapore subway fifteen years ago. Meanwhile, there are already completely self-driving subways (GoA4) at various locations around the world. An important difference between the metro connection and the regular track is that metro lines are often closed and have little to no intersections. Moreover, the rolling stock is often the same, homogeneous, with the same characteristics and functionalities. To be able to drive autonomously on the regular track, additional object detection is required and a few other things need to be arranged. “Fully self-propelled trains on the regular track are still something of the future, but we think it is important to include important stepping stones in this test”, emphasises the director.